So what have I been cooking up at One-Handed HQ recently? Well, in keeping with my gratitude theme, I am grateful that it’s asparagus season. Lovely green British asparagus. Years ago I used to live in Germany, and round rolled May, and they all went wild for ‘frische Spargel’ (fresh asparagus). Hooray, I thought, only it looked like no asparagus I’d ever seen – it was white. Weird. Anyway, I love asparagus, and look forward to its arrival every May, so when Sainsburys got in touch asking me what I would like to celebrate for their Best of British produce theme, of course I plumped for the green stuff – as Sainsburys are stocking 100% British-grown asparagus this year and I like buying seasonal British-grown fruit and veg. In the past, I’ve always steamed or boiled asparagus – hmmm, yes, nice enough. But I recently discovered the joys of cooking it in a griddle pan. It is a breakthrough – the asparagus retains its lovely sweet deliciousness but also has a bit of bite and crunch to it. Plus it is SO easy, which we like. You just need a very hot griddle pan (one with ridges), some oil, a pastry brush and some tongs. It can be cooked one-handed while dealing with something child-related with the other. It’s great dipped into the yolk of a soft-boiled egg. My (initially very dubious) kids really enjoyed the novelty of dipping something that wasn’t toast into a boiled egg and ate it all up. Hurrah. Join me in gratitude for this wondrous dish. Put a small pan of water on to boil for the egg. Once the water is boiling, reduce heat to a gentle rolling boil, add the egg and cook for 4½ minutes. Meanwhile, heat your griddle pan (I have a heavy-based Le Creuset one) until it’s nice and hot. Brush the pan with olive oil while it’s heating up. 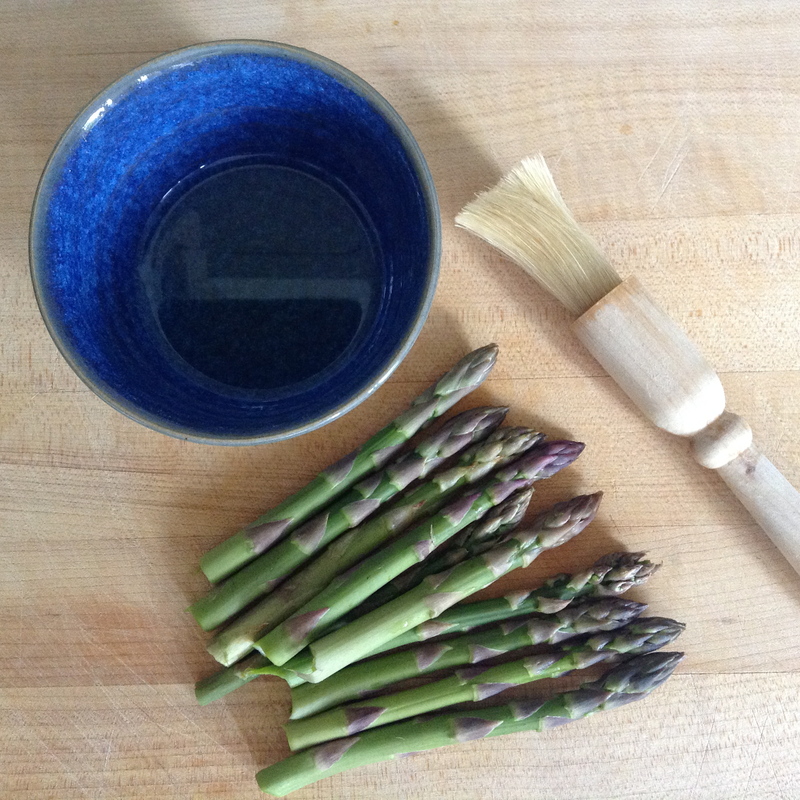 Brush your asparagus spears with olive oil using the pastry brush. 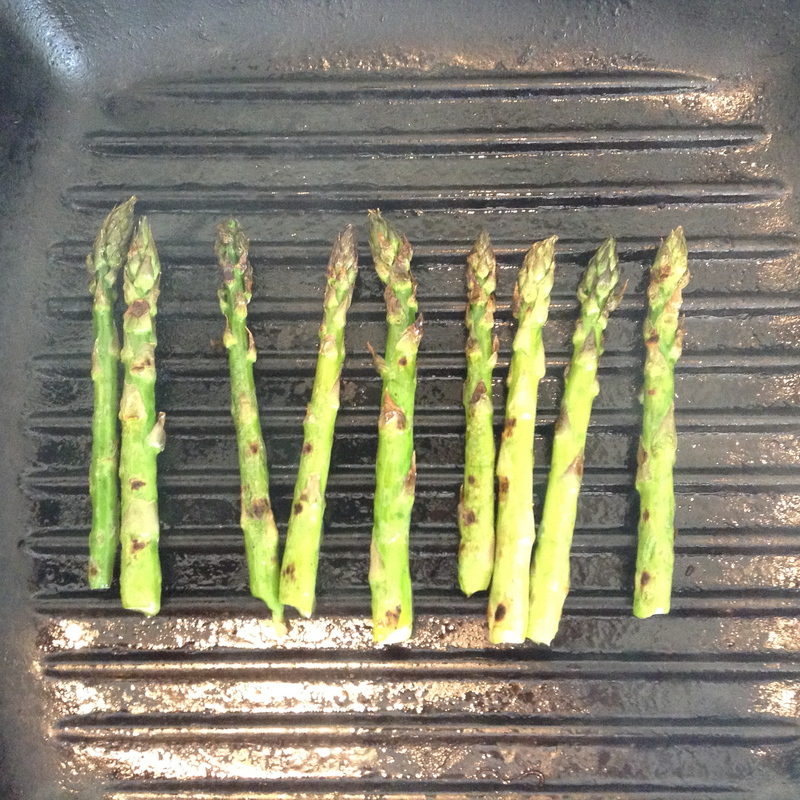 When the pan is hot, lie the asparagus across the ridges and allow to cook for a few minutes before turning. They need approx. 5-6 minutes total cooking time. Once your egg is done, remove and put in an eggcup; cut off the top. 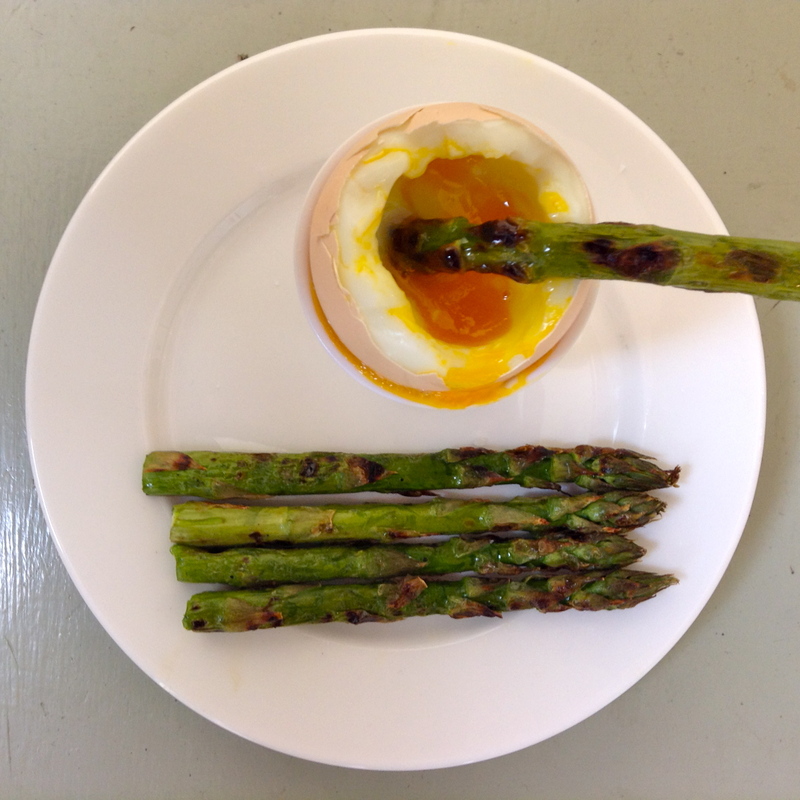 Put your asparagus dippers on a side plate, allow them to cool before giving to your child – they will be very hot! In the interest of full disclosure, Sainsburys asked me to choose my Best of British produce and write about it in exchange for some vouchers to buy some produce. These are my views. And mine only! How can it be Pancake Day again already? Where oh where has the last year gone? Perhaps it was my friend, who I admittedly haven’t seen for two years, exclaiming ‘Ooh, you’ve got some grey hairs’ at the weekend, or perhaps it’s the fact that my husband is rapidly approaching the big 40 (which we aren’t allowed to talk about) but I am feeling a tad spooked by the passing of time. Hey ho. And so because it is Shrove Tuesday we will be making pancakes later, and I have been testing out some pancake-making kit, which was kindly sent to me by Oxo Good Grips, who have invented a rather ingenious device called a batter dispenser. This is a brilliant idea, but one I cannot endorse fully as it requires more washing up (something I am never fond of) but it is really clever, the idea being that you make your pancake mixture and then decant it into the dispenser, from which you can accurately dispense the right amount of batter into the pan – one-handed! Big tick. You can also store unused batter in it overnight in the fridge – handy. The best new pancake gadget I have been sent, however is the Oxo Good Grips Flip & Fold Omelette Turner which is completely and utterly awesome. It is the perfect wide bendy spatula to ease around the edge of your pancake before you effortlessly flip it. It is amazing. I love it. And it’s yellow! 1. Melt the butter over a low heat or using the microwave. 3. Put the flour and sugar in a bowl and slowly pour in the wet ingredients, whisking as you go until your batter is lovely and smooth. 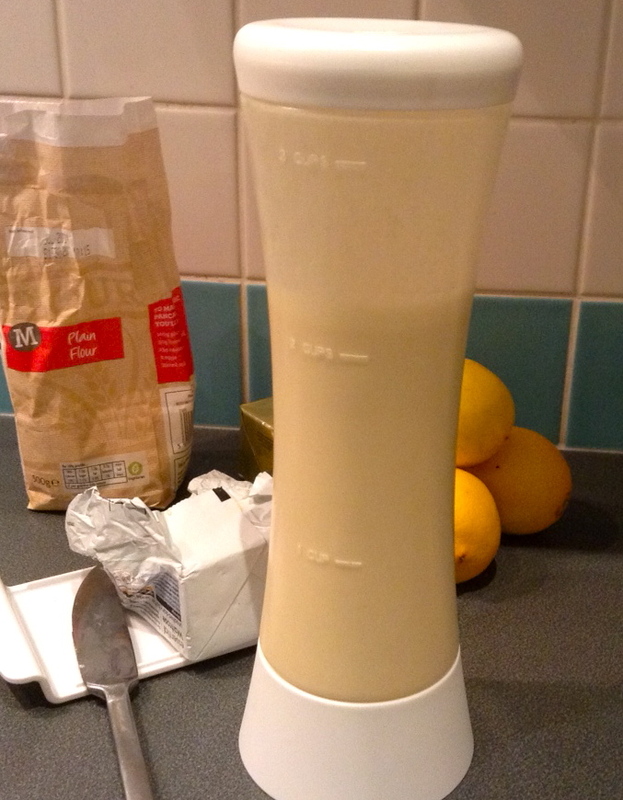 If in doubt, blend using a stick blender. 4. Heat your non-stick pancake pan (I have a Sainsburys 24-cm pancake pan which is is perfect) and add a tiny knob of butter. When it starts to bubble, pour in enough mixture to cover the base of the pan, tipping the pan to cover it evenly. 5. Leave to cook for a minute or so (don’t be hasty) then flip and cook the other side. Flip in the air if feeling carefree. 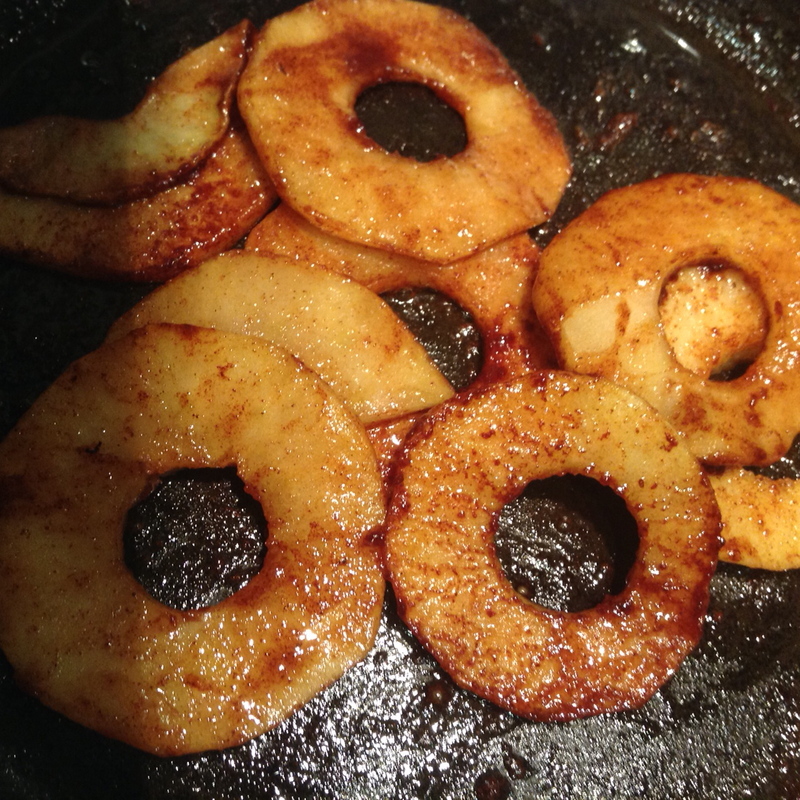 For the Cinnamon and Apple bit, simply peel, core and slice an eating apple, and gently cook in some butter in a small frying pan. Add a teaspoon of caster sugar and half a teaspoon of cinnamon and stir. Cook until the apple is soft and melty. Top your pancake with the apple mixture and some creme fraiche. Delish. 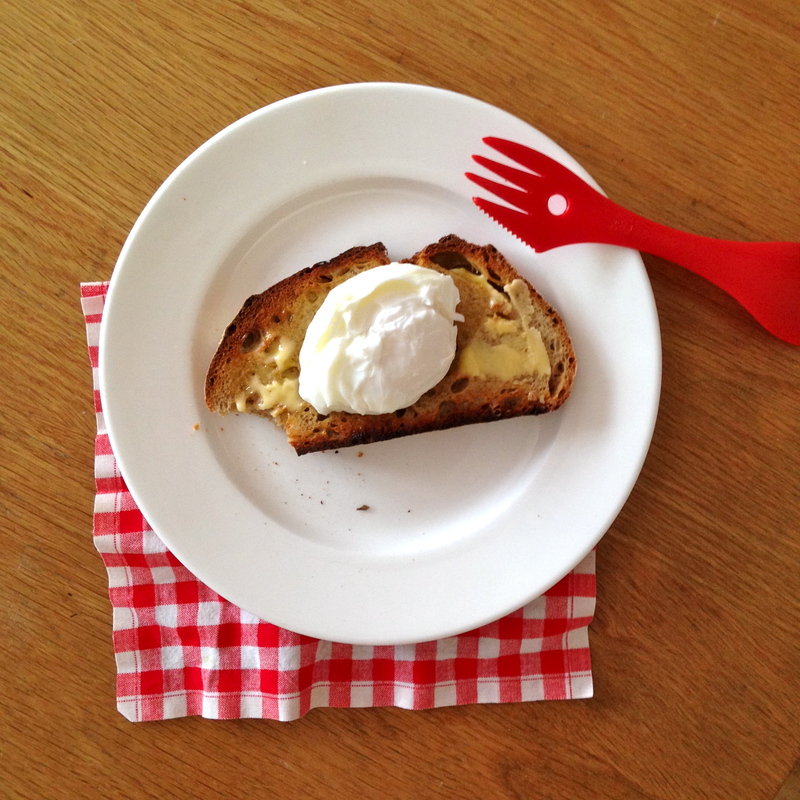 Disclaimer: I was sent the pancake-making kit by Oxo Good Grips to test for the blog. All opinions are my own. “Pick me up!” my toddler demanded earlier and, like lots of other always-feeling-slightly-guilty working mums, I relented straight away, gathered her up in my arms and perched her on my hip. And carried on one handed. Which got me thinking about the many tasks I’ve done one-handed over the years, starting when my son was a tiny baby, snuggled in the crook of my left arm, or asleep over my shoulder, through to my demanding daughter, who will insist on wriggling like a maniac when I carry her around, making one-handed tasks even more difficult *sigh*. So here is a list of all the one-handed tasks I’ve managed to do over the past few years. Drink a large glass of dry white wine. Please share your one-handed baby-carrying experiences below! I have been making this recipe for years – it is so simple and so tasty that you can’t really go wrong. If you’ve never tried it on your children, I urge you to – in my experience, adults and children alike love it, and what’s more, it’s good for you – mackerel is an oily fish full of VIP Omega 3. Some recipes over-complicate mackerel pate, I think all you really need is mackerel, soft cheese and lemon juice. It really is that easy. You’ll find smoked mackerel in shrink-wrapped packs in the chiller in the supermarket; I opt for the non-peppered one as it can be a bit strong, and the children prefer it without peppercorns. Once you’ve skinned the mackerel, this can be made pretty much one-handed as you just stick everything in the food processor. Which then goes in the dishwasher. Joy. The other great thing is that it freezes beautifully, so you could make double and keep some for next time. More joy. Mackerel pate is great served on toast for lunch or a snacky tea, but it also works brilliantly as a dip; children (and dinosaurs) love dunking carrot batons, red pepper strips, cucumber sticks, breadsticks, strips of pitta bread and Kettle chips into it, too. 1. Remove the skin and put the mackerel fillet in a food processor with the cream cheese and the lemon juice and a twist of black pepper. 2. Blitz until combined and taste; if you feel it needs a bit more lemon juice add another squeeze. 3. Serve as suggested (dinosaur optional).